Craig takes in the scene from an overlook on the trail. Between the briars slicing open my shins and picking off a couple of ticks, there was one thing that I failed to notice, something my hiking partner Craig noted. He was right. We’d been on the trail for a couple of hours, and the only non-insect beings we saw were a couple of snakes, a few lizards, and some turkey vultures riding the air currents high above a steep, heavily wooded ravine. Solitude is something I expect in the remote parts of the country, but not in the South. Sparsely populated western states offer plenty of alone time if you want it. That’s tougher to find in states where small towns dot the landscape and paved highways take you to the tops of mountains. So it was remarkable that this hike, going up the Magazine Mountain Trail in northwest Arkansas, was one in which we were the only humans around. I’ll take that every time. A view looking south from near the top of Magazine Mountain. Magazine Mountain (alternatively, and interchangeably, called Mount Magazine) is the highest mountain in Arkansas, rising to 2,753 feet. It was named by French explorers who, after witnessing a landslide on its flanks, likened the sound to a munitions magazine exploding. It’s the monarch of the Ouachita Mountains, an ancient band of east-west ridges and mesas that once soared to heights equal to that of the Rockies, back before tectonic movement pushed it away from the Appalachians and into the heart of the interior highlands of Arkansas, Missouri and Oklahoma. The Ouachitas are separated from the Boston Mountains and the rest of the Ozarks by the Arkansas River. Clothing the entire region are dense hardwood and lodgepole pine forests filled with life. The mountain itself dominates the skyline south of the river. It’s a long plateau crowned with a rim of rugged cliffs at the top, offering spectacular views of the Ouachitas all the way into Oklahoma to the east and the Boston Mountains to the north. The mountain is mostly inside national forest land, though the top of the formation is land owned by the state, Mount Magazine State Park. 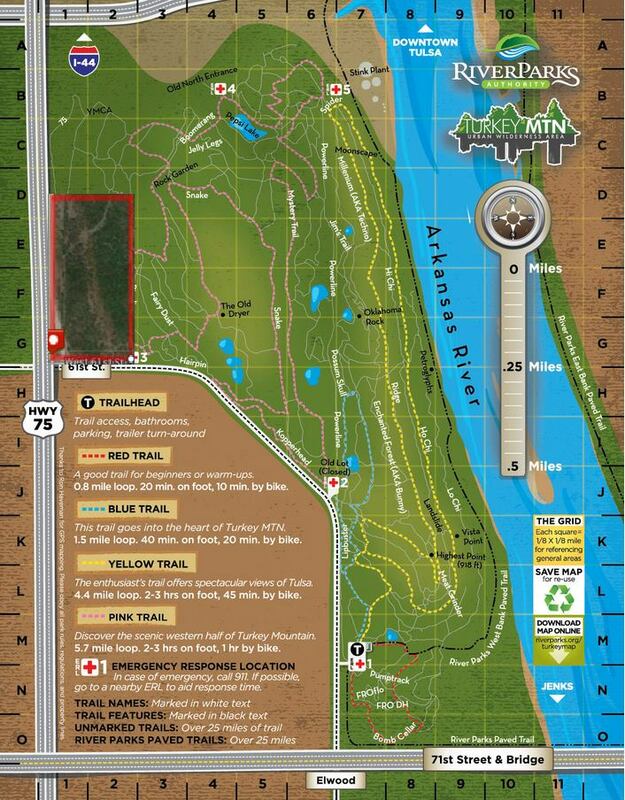 The state park and the National Forest Service have a great partnership here, and part of that is maintaining a route that is one of Arkansas’ classic hikes, the 9.7-mile Magazine Mountain Trail. Most people hike the peak from campgrounds at the top of the mountain down to Cove Lake, 1,500 feet below. But a downhill hike is not what Craig and I are accustomed to. In some ways, Craig and I are similar hikers. We’re both flatlanders who have found ourselves at home hiking Colorado’s 14,000-foot peaks, and have a similar number of summits. But we have key differences, namely that he’s much faster at altitude and is seemingly tireless. Me? Not so much. Thankfully, the altitudes of Arkansas aren’t nearly the factor that they are in Colorado. Otherwise I would have been eating Craig’s dust most of the way yet again. The low part of the trail, maybe a mile from the lower trailhead. Our plan was to drive one of our cars to the lake, hike to the top, then use the other car to retrieve the first. The only other option would have been to do a round-trip hike that would have approached 20 miles. Both of us had done that before, but we were looking more for fun rather than something more demanding. The trailhead at the lake is easy to miss, but a small parking area (big enough for two cars) revealed the start of the route. I had to remind myself that spring is the time where every fallen tree branch could be a snake. And that turned out to be true. Less than a mile in, a two-foot black snake sat in the middle of the trail, sunning itself, and not at all concerned with us. We were cool with that. The trail was mostly an up-and-down affair, and then about three miles in, we climbed up to a cliff side that revealed some sweet views of nearby ridges and woodlands. Someone had set up a fire ring at that outcropping, so I suppose you could consider that place as a potential campsite. I guess that would be fine, but there wasn’t a water source nearby, and I’m all about having somewhere close to filter water so I don’t have to haul it all in. We were just passing through, so we snapped a few pics and Craig caught me saying something goofy on video. “Say hello for the camera,” he said. “’Sup, camera,” was about as witty as I could get. A scenic overlook about three miles in. I figured that our hike up the ridge was the start of ascending the mountain, but I was wrong. Every bit of elevation we gained there we quickly surrendered as the hike went on. As it turned out, this was just a stop along the way and we’d yet to reach the foot of the mountain. So while the maps showed the elevation gain from Cove Lake to the trail’s end at about 1,500 feet, you can easily tack on at least a couple hundred feet more, given this little feature and the constant up-and-down along the way. Another thing we noticed: This was a very watery hike. For starters, route descriptions mention creek crossings, and there were several. You could cross some without getting your feet wet, but others, not so much. There was a lot of water coming down the mountain that day, a byproduct of frequent rains that had pounded this part of the state in the preceding week. Some of the pines here were more than a hundred feet tall. That also made the trail muddy in numerous spots. And in others, water flowed down the trail as if it were a creek itself. Any illusions of keeping our feet dry were quickly dispelled. Once you’re good with that, it’s not a problem. Otherwise, only high-top boots with waterproofing would have provided a chance at staying dry. And that would have been a big if. The trail is well-marked. There were mile markers (though a few were missing), and white diamond-shaped blazes were nailed to trees frequently. The only tricky areas were, believe it or not, road crossings. The first one of those had the trail reappear in a grassy area across the road (they were all gravel access roads for National Forest Service work). The second one, however, gave us a little trouble. About four miles in, we came to a road crossing that had one side of the road going uphill and the other splitting into a Y. One of those splits led to a gate, the other downhill. We looked up and down the road and saw no clear indication where the trail picked back up, and our map wasn’t altogether clear. A fella in a truck pulled up, so we flagged him down. Looking at our map and compass, we took a guess, went up the hill and guessed wrong. We figured that out after Truck Guy drove back up the hill to tell us he saw where the trail left the road – down the hill, the opposite direction we were going. We were grateful for the assist. Who knows where we would have ended up had we kept trudging up the road. I made a mental note that I need to work on my orienteering skills. With Truck Guy motoring down the road and us back on track, all signs of people vanished again. Every now and then, deadfall blocked our route. My guess is high winds from recent storms took down sick or dead trees along our path. Somewhere past Mile 5, we hit another high point where two small clearings overlooked a steep, wooded slope. We could hear a creek rushing below us. The clearings also had a fire ring, and this seemed like a good place for someone to camp. The Magazine Mountain Trail is popular with backpackers, and some people turn the hike into a two-day, overnight excursion. We plopped down for some grub, did a tick check (we performed a few of those) and let the sounds of the rushing creek below wash over us. We encountered a lot of creek crossings, including this one where our map indicated a bridge. We were in for one more “major” creek crossing where the map indicated a bridge. I saw footings for a bridge on either bank, but something tells me that structure is long gone. It was just another soggy creek crossing, but we were used to that by then. No biggie, just squishy feet for a few minutes (and the promise of really rank socks back at camp). Shortly after that, the trail started heading uphill in earnest. Nothing too steep, but we did hit two sections of switchbacks that were reminders of some of the more formidable trails we’d experienced in the Rockies. After the second set of switchbacks, the trail ascended the mountain in a steeper – and at times, soggier – straight line. We knew we hit the state park boundary once the nature of the trail changed. Instead of the partially overgrown singletrack we’d been on all day, more stone stairs appeared. The “up” gave way soon after, and before long camp had arrived, and with it, the promise of a good nap, fresh clothes, and the best camp food of all time, bratwursts with mac-and-cheese made by yours truly. Not like I’m biased or anything. I could tell you that the scenery stole the show, and indeed, this is a great hike. It’s not often you can trek on a longer trail in the South and have nearly absolute solitude in a place that was so lush, so green, and so alive. Craig takes a break near the end of the hike. But as is the case with most hikes, it’s often the company you keep that makes the trip. All along the way, Craig and I compared stories from the mountains, our solo ascents, or the more memorable peaks. We talked about how we first got into hiking the Fourteeners, who we met, and what mountains we’d like to climb next. A lot of times, sharing these mountain tales leaves many of those we know a little glassy-eyed. I think they’d rather see a couple of pics and move on. But within our little fellowship, these stories are the spice of life. They often intersect with big lessons learned, shared experiences with family and friends, and time to process big ideas. It’s made easier when there’s no cellphone service, so any urgent texts, emails or notifications are held at bay, leaving room for good conversation or quiet reflection. We don’t get enough of that, you know. And all that would indeed come. We’d go back to families, back to jobs, back to the noise of daily life beyond these ancient woods. But for a time we let the forest take us in, block everything else out and send us back in time before people tried to tame these lands. Wild places can be savage, but they can also soothe. From Cove Lake, start the hike at a small parking pullout near the dam. The trail is well-marked and easy to follow, with very few side trails, most of which are partially overgrown. About two miles in will be your first road crossing. Tall grasses obscure the trail on the other side of the road, but it will be slightly to your right. Continue another mile to reach a rocky outcropping. This is a potential camping area, but also a good spot to rest, eat and evaluate the weather, as the bulk of the hike still lies ahead. Another 1.5 miles up the trail is another road crossing. To your right, the road splits into a Y, with the right-hand fork leading immediately to a gate while the other fork goes downhill. Take the downhill fork. The route includes a small section of the road, but less than 200 yards downhill, the trail will appear to your left and leaves the road for good. From here, a general uphill climb begins, with some elevation loss and gain. About 5 miles in, you’ll reach two clearings that have been used as campsites. This is just past the halfway point of the route, so it’s a logical place to stop and camp if you’re backpacking. It’s also a good point to evaluate the weather as well as your progress, as the hardest part of the hike still awaits. The woods reflected on the still waters of a pond. Past the campsites, the trail continues another two miles before going uphill in earnest. You’ll go uphill for a time and the route will flatten out and take you between two ponds. Upon leaving the ponds behind, you’ll arrive at the first set of steeper switchbacks, of which there are four. The route eases for a bit, then hits another set of three switchbacks. Leaving those behind, the route eases momentarily, then steepens again. 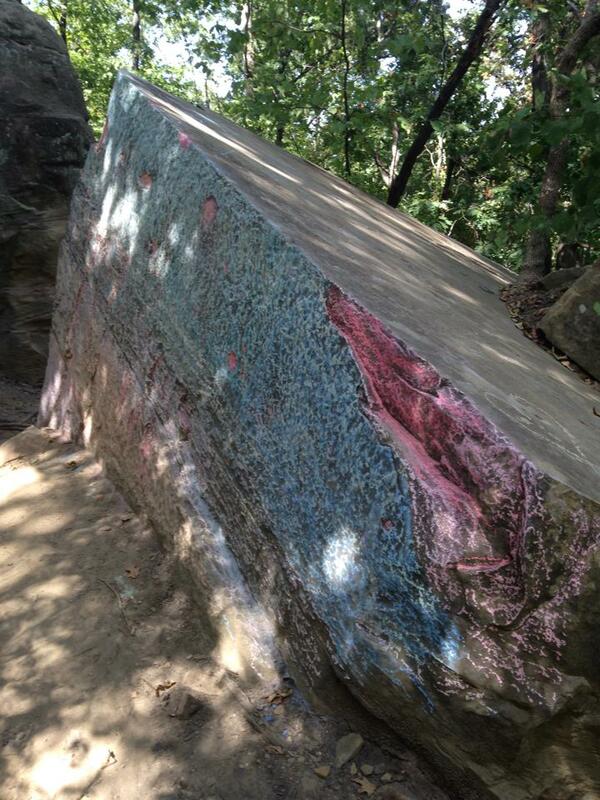 A series of rock steps will appear as you leave the Ozark National Forest and enter Mount Magazine State Park. Continue a steep hike for another mile before the terrain eases and leads you to the boundary of the Cameron Bluffs campsites. Route length is 9.7 miles, all Class 1 hiking with minimal exposure. Hike south through the campsite, cross the main road and go a half mile up the Signal Hill Trail to the summit of Magazine Mountain and the state’s high point. Or, if you’re up for it, make it a bigger day by hiking from Cove Lake to the summit, then back down to the lake. 19-21 miles, depending on if you tack on the Signal Hill Trail hike. There is no motorized travel or biking allowed on the Magazine Mountain Trail. Hiking only. The mountains of Arkansas are bear country. Talk and make noise to alert bears of your presence, and do not attempt to feed them (or any wildlife, for that matter). Give any bear plenty of room, especially if it is a mother with her cubs. If you’re camping, be sure to hang any food or fragrant possessions (toothpaste, deordorant, soap, etc) in a bear bag away from your campsite. Never store these items in your tent. 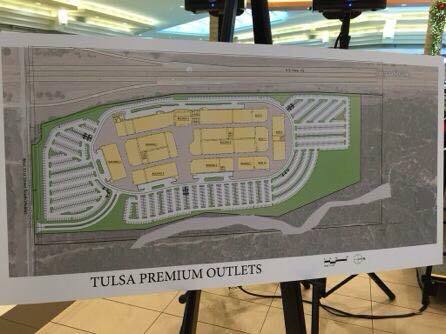 Is this the future of what an outlet mall at Turkey Mountain looks like? The track record for such enterprises isn’t that good. One of the questions that has been raised by some people is what harm could come from building an outlet mall at Turkey Mountain. Over the past few months, I’ve written about this quite often. The construction of an outlet mall at the proposed location will wipe out many acres of woodlands. It will consume many existing, scenic trails. It will encroach on wildlife habitat. And with the infrastructure expansions that will be necessary to handle the expected traffic at the shopping center, even more trails and woodlands all along 61st Street and Elwood Avenue will be consumed. The mere presence of an outlet mall at the place where Simon Properties wants to build will have a negative impact on all of Turkey Mountain. 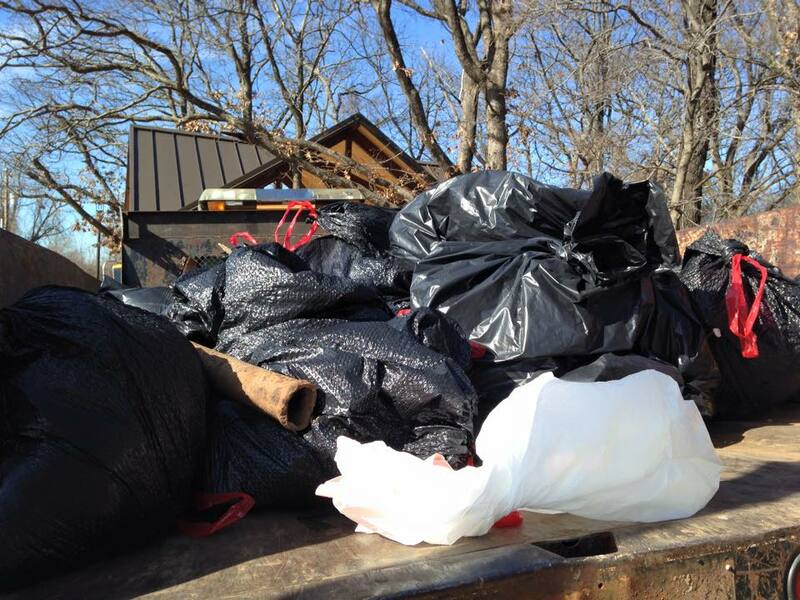 The destruction of forest, the light pollution, potential drainage issues, the noise and more can only be bad for Turkey Mountain, and thus bad for the city. As if this wasn’t bad enough, however, there is more. All of that is rooted in the history of outlet malls in Oklahoma. Back in the 1990s, a company by the name of Tanger built an outlet mall in Stroud, just off the Turner Turnpike. It was touted for its ideal location between Oklahoma City and Tulsa, and the high traffic that highway carried. It was opened with much ceremony, but before long it was already headed for trouble. Tanger Outlet Mall’s future was cut short when it was destroyed by the May 3, 1999, tornado, but the truth is that it was headed for closure anyway. Insurance funds could have rebuilt the place had it been worth Tanger’s time. But what’s left there now? A huge empty lot. Fast-forward to just three years ago. A redevelopment project in Oklahoma City ended with the opening of the Outlet Shoppes at Oklahoma City, just off Interstate 40 in one of the fastest-growing areas of that city’s metro area. The ideal location, high traffic and favorable publicity wasn’t able to stop that mall’s loss of a major tenant this past fall. Saks Off Fifth, which is operated by Saks Fifth Avenue, is already pulling up stakes. So a large anchor tenant in a highly visible shopping center in Oklahoma’s largest and most prosperous community is already withering on the vine. Is this a harbinger of things to come for that development? If more shops there close, what will become of that mall? Could it become a huge, barren lot lined by empty stores? Time will tell, but if nothing else, it speaks to the risk involved in such projects, even with marquis brands from established companies being part of the plan. Simon’s plan for an outlet mall. To the left, just one entry/exit. Now look at what Simon Properties wants to do at Turkey Mountain. The company wants to build an outlet mall off a highway with less traffic than I-40, on a hilly road not designed for high traffic, with only one entry and exit point. And they want to do it in an area already flooded with retail businesses just to the south. I’d argue that the proposed Premium Shoppes at Turkey Mountain is a plan destined for failure. And what will that leave us with, should that come to pass? A barren parking lot with empty buildings sitting atop what used to be wild, old-growth forest that people and wildlife once enjoyed. A city asset will become a liability, and there won’t be any chance of recovering what it used to be. The chunk of woodlands for the proposed outlet mall, showing the rest of Turkey Mountain and the nearby roads. The overall impact of the project would likely be much bigger than the site itself. There are places where you can build outlet malls and give them a decent shot at success. Most of those places are going to be in areas that have already been developed. But the bad thing about ripping down a forest is that when it’s gone, it’s just gone. When you look at the location Simon is proposing, and the dubious model it has chosen, you have to wonder if allowing this project to go forward is in the city’s best interest. I’d say no. But I’m not the one who needs convincing. Tulsa’s city councilors are the ones who need to hear from you. There are other options for an outlet mall, and there are better uses for the land in question at Turkey Mountain. Simon Properties will very likely be asking for taxpayer support to build its mall in the form of a tax increment finance district, which basically would give Simon a seven-figure subsidy to embark on this risky project. Any TIF district would need to be approved by the city council. A couple of things: A TIF district can be good, and the money is eventually repaid if all goes well. Shopping centers can be good. Economic growth is not necessarily the enemy of wild places. 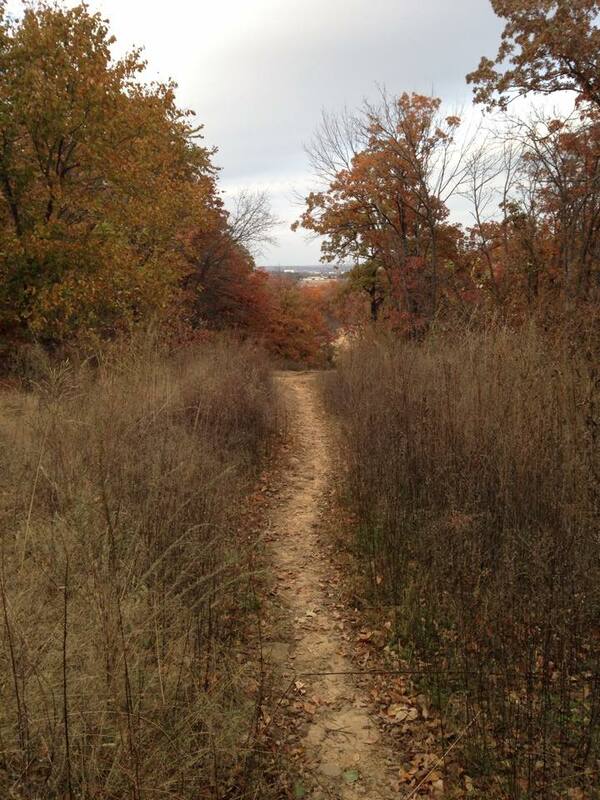 If the outlet mall at Turkey Mountain gets built, you can kiss this view and that trail goodbye. But limited traffic, poor access and a dubious business model don’t seem to be worth risking wilderness land and taxpayer money, and that’s exactly what’s being proposed. 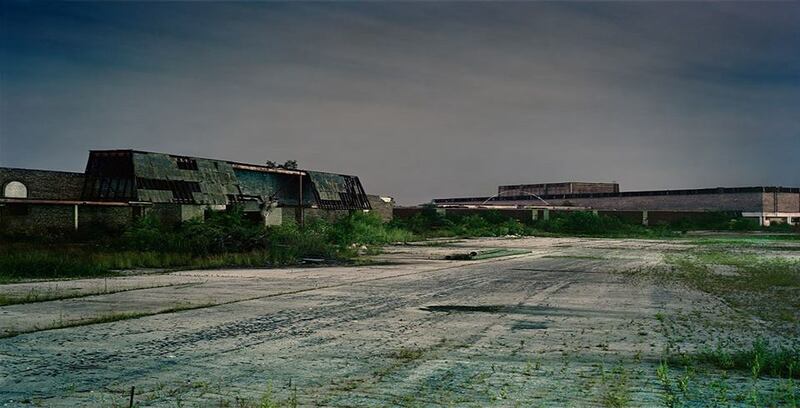 Even the guarantees in a TIF district agreement do nothing to restore a site if it goes belly up. So contact your city councilors. Ask them to do right by Turkey Mountain and to come up with a comprehensive plan for how land at Turkey Mountain is to be used. Ask them to be good stewards of our money. Tell them, via phone call or email, that an outlet mall at Turkey Mountain is a bad idea. The photo above is something that caused a bit of a stir in the mountain community in Colorado. 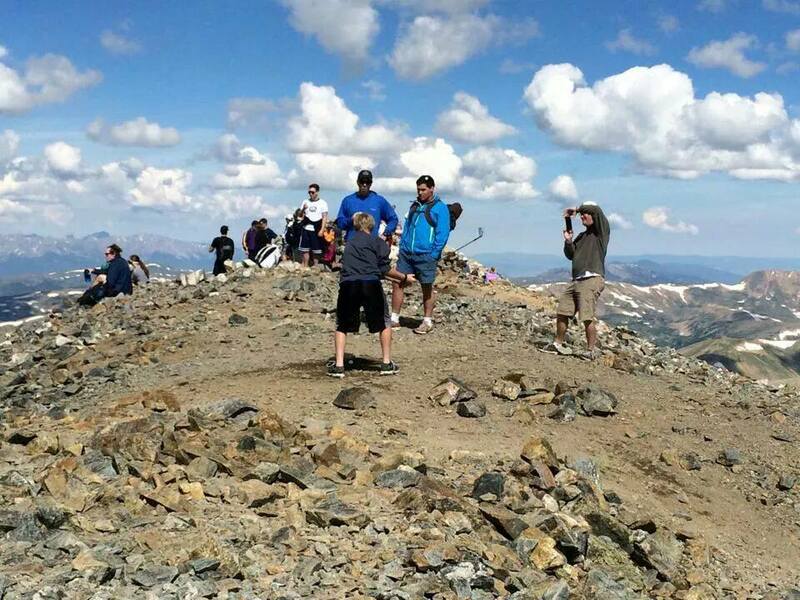 You can see what it shows: A group of guys on the summit of Grays Peak, hitting golf balls from the top. 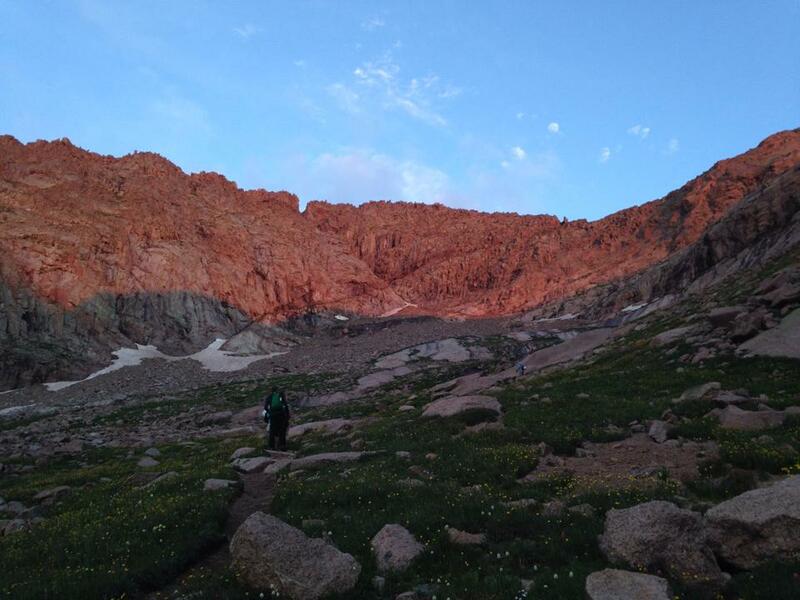 Grays Peak is one of those heavily trafficked mountains that’s close to Denver, with easy access from Interstate 70. It’s also a straightforward hike to the top, so as you can imagine it attracts a lot of attention from people looking for an altitude fix. Much moreso than, say, the more demanding peaks deeper in the mountains. I’ve got a problem with this. For starters, you don’t know if your tee shot if going to hit someone below (there is more than one trail to the top of Grays). But the real sin is that I’m sure these douchenozzles made no effort to retrieve their golf balls. 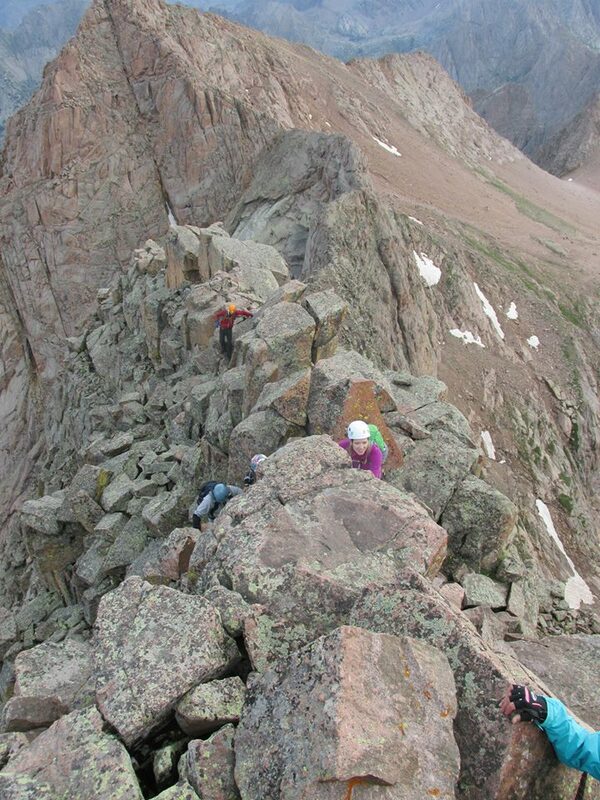 Like I said, Grays Peak is a busy place in the summer. But guess what? It’s also a wild place. To whatever degree you follow Leave No Trace principles, I think we can all agree that what happened here was nothing more than frat boy littering. 1. Don’t crap or piss on the trail or on a route. Trust me, you can hold it long enough to get well off trail, even in above-treeline areas. No one wants to step on your defecation or grab a wet handhold courtesy of your bowels. 2. Don’t feed the wildlife. 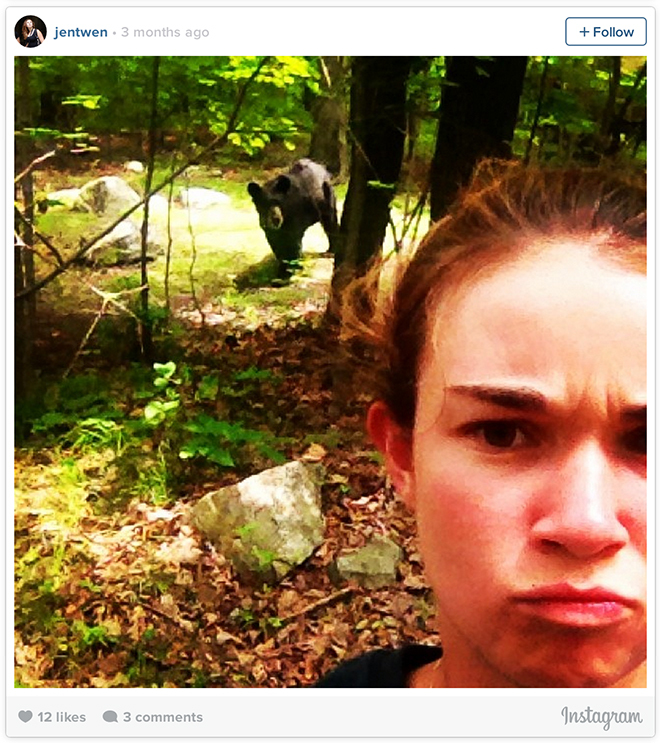 And don’t mess with wildlife, either. Yes, a marmot will eat out of your hand. So will the occasional pika. But animals should not be conditioned to see humans as food sources. Besides, the food we eat is not healthy for them. And for cryin’ out loud, don’t be an idiot by chasing wildlife around, or otherwise doing harm. Some dude kicked a squirrel off the Grand Canyon rim last week, an action I cannot fathom. 3. Take your dog, but take care of your dog. Keep your pooch under control (especially around people, other dogs and wildlife), don’t let it crap on the route/trail (and clean up after it if it does), and be cognizant of your dog’s abilities and stamina. Most dogs can’t handle rough, bouldery routes, and almost none can manage Class 3 climbing and up. Feed, water and monitor your dog. Don’t get your pet injured or killed. 4. Haul out your trash. Period. Don’t leave it, bury it, throw it in a creek or lake or burn it. Just bring a plastic sack and haul out your garbage. I’m stunned by how few people get this, especially when it comes to things like food wrappers and summit signs. 5. Have a good time, but make sure your party doesn’t ruin other people’s day. I’ve seen and heard of some wild stunts people do in the mountains, all in the name of fun. I’m all for that. Hot tub on a peak? Sure. Kegger on the summit? It happens. Grill a burger, have a sing-along, pitch a tent — all of these things and more happen on high mountain summits, and it’s cool as long as you don’t ruin the moment for everyone else. Be cool about it, be done with it, and then leave that peak in as good or better condition than when you found it. Have fun, but be mindful of others. And for that matter, don’t hit golf balls off a summit. Be better than that. Got a few don’ts of your own? List ’em in the comments. I’d love to hear from you. Clouds swirl around Peak 18 (left) and Windom Peak in Chicago Basin. “You can’t underestimate the power of people’s desire to be part of a group,” my friend Matt told me. I can’t remember what the exact subject was, but his statement was part of a longer discussion we used to kill some time and miles while driving through Kansas on our way to Denver. I met Matt a couple of years ago when I worked day-shift hours and was able to join some group runs at Turkey Mountain, a local trail haunt for Tulsa runners and mountain bikers. Post-run burritos and beers turned into discussions about the mountains, backpacking, hiking, and climbing. He was itching to go on one of these Rocky Mountain adventures, and when I told him about some plans for a backpacking trip to Chicago Basin, he was all in. Chicago Basin is one of those places that’s not easy to get to. 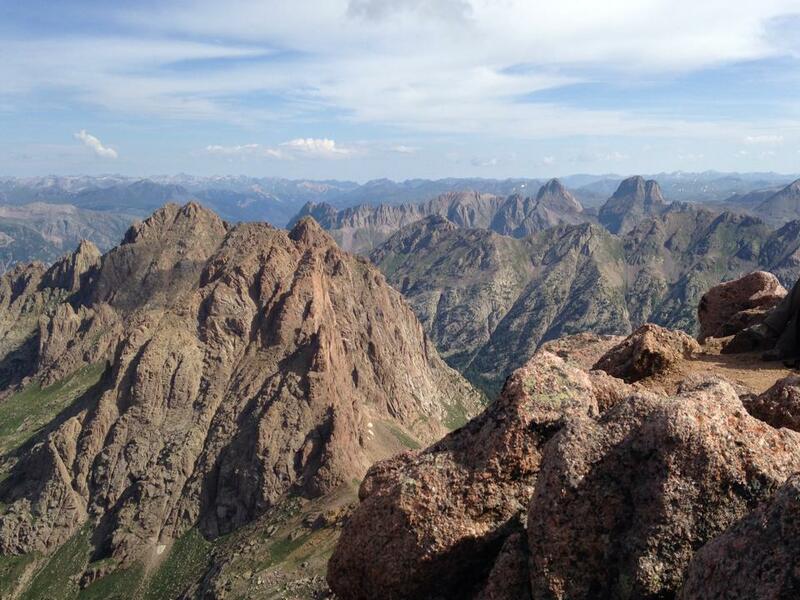 It’s in one of the most remote corners of the most out-of-the-way mountain range in Colorado, the San Juans. There’s no road to the trailhead. Your two methods of getting there are either on foot (one really long hike in, just to get to the trailhead) or hopping a steam train in either Durango or Silverton and getting dropped off at a midpoint stop that used to be the rail town of Needleton (no such town exists now, just a wide spot by the railroad and a bridge over the Animas River). The reward comes after hiking in several miles and seeing the prize before you: A collection of 13,000- and 14,000-foot peaks in the basin. Each mountain offers its own set of challenges, both physical and mental. But as much as this story is about the place, it’s also about the people. You know, the group. A lot of the people on this trip were familiar faces, people who had been kind enough to let me join them on past trips – Chuck, Noel, and Bill – strong hikers, good climbers, and either close to or past the point of topping out on all of the state’s 14,000-foot high points. There were a lot of new faces. Some I know “virtually” though 14ers.com, its Facebook page, or through other means. 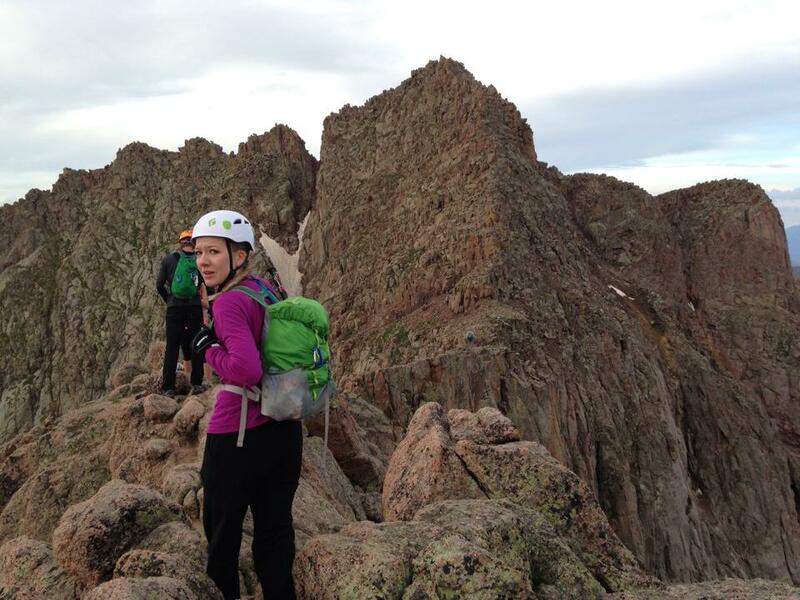 Joining Bill on the drive down was Jenny, a young and pretty ambitious gal when it comes to the 14ers. We had some “power couples.” And by that, I mean they were pretty awesome. Nathan and Danielle, both rock-solid climbers, and the perfect yin and yang. Nathan is pure chill, and Danielle might be the happiest person I’ve ever met (if you want to find her, just follow the laughter). And then there’s Mike and Maggie – Mike (also known as “Mikey Zee”) being the funniest dude I know, and Maggie playing the role of calm in the midst of Mike’s hilarious chaos. More on that later. 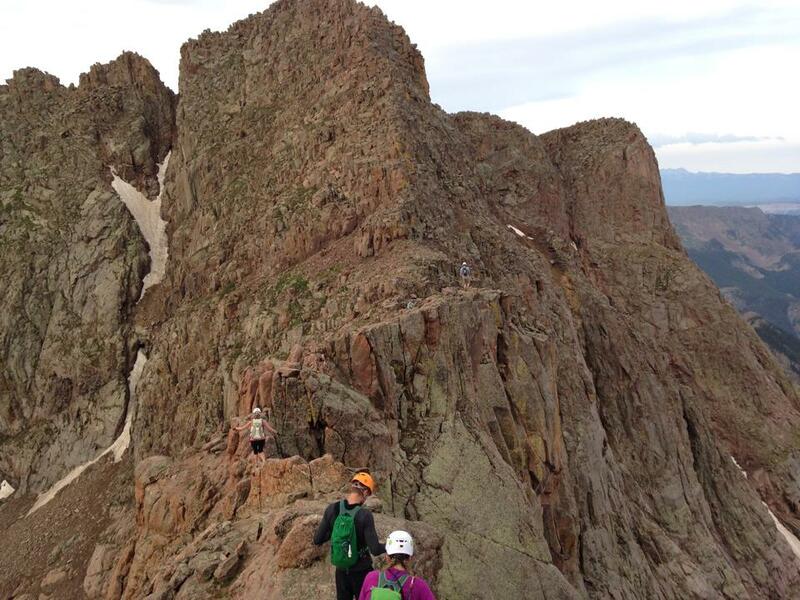 There were the mountain goats – Mike W., Zach, Todd, Steve and Andrew. And the Bosnian Baron, Senad, who was an absolute beast on the hill. And then one last character who appeared out of the mists of social media – Miss “go! go! go!”, a runner and climber named Kay who I follow on Instagram (you can find her at halfpint22,and her feed is a good one). I saw her at the train station in Durango, recognized her, and discovered that she’d be part of this merry little band. Small world, folks. Matt enjoying the ride on his way to his first 14er experience. In their midst was myself and Matt – a newcomer to the 14er scene, a fella with a huge sense of curiosity and a dude who was down for anything. So many different personalities. So many challenges. You could taste the potential for something big. Early on, there’s no telling what that was going to be. All of it would depend on how well these folks would work and interact together under trying conditions. 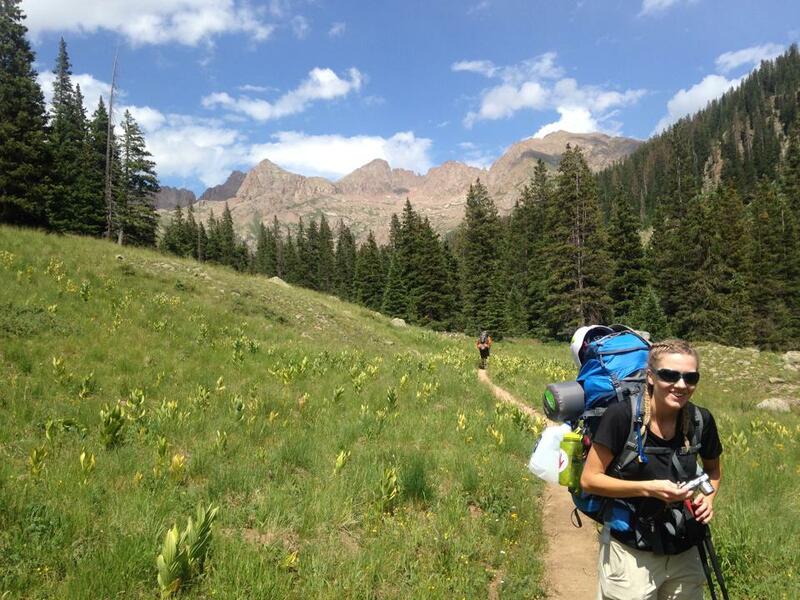 When it comes to backpacking, most of it steers away from touristy stuff. Leave that to the vacationers hiking a half mile from the parking lot to take a picture of some nondescript waterfall. 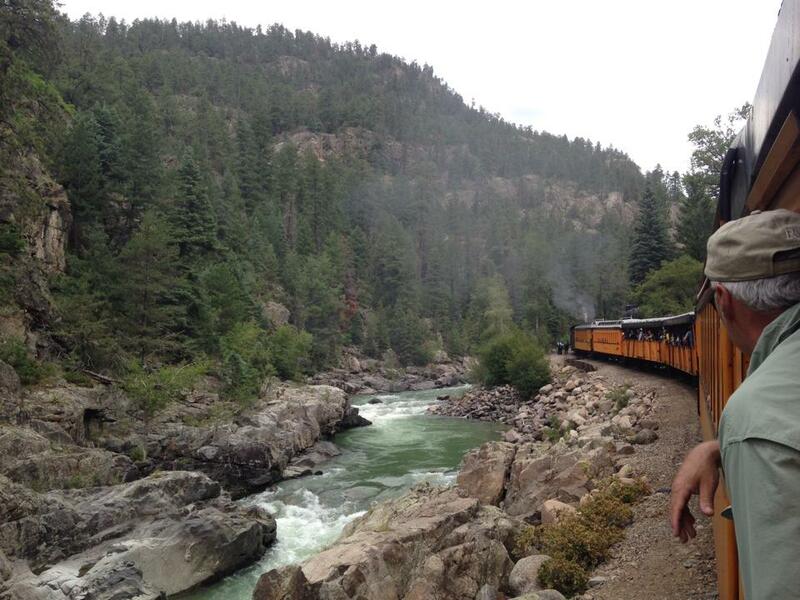 So it’s a curious twist that to go into one of Colorado’s more remote wildernesses, you have to jump on a 19thcentury-style, coal-powered steam train with several carloads of tourists willing to pay $100 a pop to take a slow, scenic ride between Durango and Silverton. Uniformed staff give passengers details about the train and the route. One of them had a retro, curled-up mustache that was big back in the day. Or is that more of a hipster thing? Confusing times, man. The rig that took us to the trailhead. The train operators know their customer base, though. Backpackers are given the option of riding in the cheaper open-air cars. You kill two birds with one stone – save backpackers money (we ain’t loaded, ya know), and spare the rest of the passengers that lovely odor we tend to accumulate over a few days on the trail. Oh, and there’s a beer car. 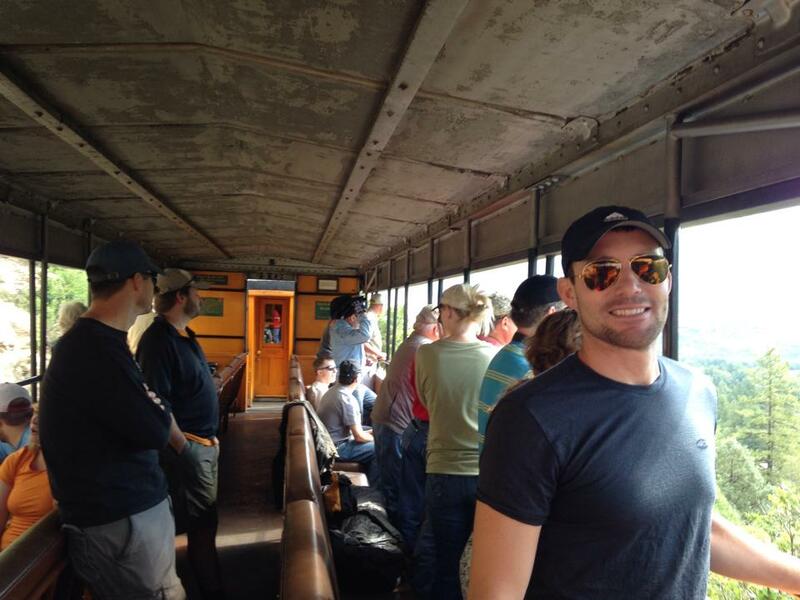 Anyway, the train gave the group a chance to catch up with old friends or break the ice with those we just met. A couple of hours in, the train stopped near a pedestrian suspension bridge spanning the Animas River. The tourist experience was over. Time to hike in. Where is this? Washington state? If you’ve been to Colorado much, you know it’s a pretty dry state. Even with all the winter and spring snows, and the almost daily summer afternoon thunderstorms, the Centennial State is somewhere just shy of a desert in most of its environs. This is especially true of the western third of the state. The San Juans are different, though. Something about this mountain range, some trick of topography and geography, collects moisture. I saw that in a big way a month earlier, when Wetterhorn Peak was still socked in with snow late into June. 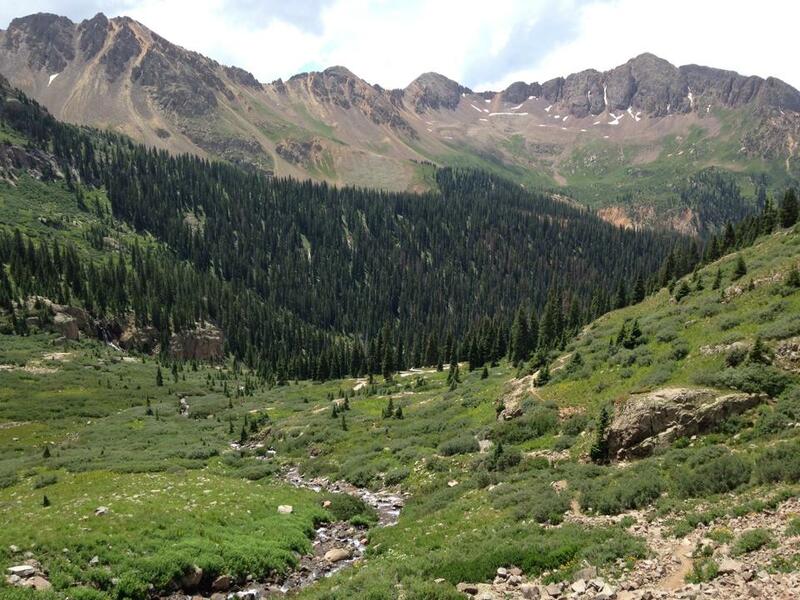 But it was nothing like what we experienced hiking nearly 7 miles into Chicago Basin. It was warm. Humid. Lush. Moss hung from the trees, and everything around us was carpeted in green. The skies were bright, but pocked with heavy white-and-gray clouds that threatened to dump rain on our little slow-moving parade that trudged up the trail. The trail starts easy enough. I wondered out loud if this is what it was like to backpack in the Pacific Northwest. Having only been there once, my frame of reference is limited. But one thing I do know – Rainier and other Cascade giants notwithstanding, most of the Pacific Northwest lies comfortably below the 8,000 or so feet above sea level where this little jaunt started. It’s been awhile since I’ve been backpacking. I’m pretty good at keeping my pack weight low, but the last time I strapped 35 pounds to my back and headed up a hill was 2009. And then there’s this: I’m working a lot these days, which means training less. I quickly became the guy in the slow lane amongst a group of hikers who were decidedly much faster than me. Jenny and Bill as we get closer to camp. I’d like to blame it on being a flatlander. It’s a great excuse I’ve used before, like an old reliable crutch I could use when bringing up the rear. But then Matt comes along, a fellow Tulsa guy, and the altitude didn’t seem to bug him much. He was near the front of the line that day, and pretty much the entire time. Freak of nature? Maybe. More likely he’s just in way better shape and able to hang with just about anyone. Our group was big, and it was a pretty busy weekend in the basin. So we were forced to hike in a little further and higher than we originally planned. After a few creek crossings and a long trudge up, the sight of my buddies in camp just uphill from a stream was welcome indeed. It was warm, and I’d long since sweat through everything I was wearing. The view from my tent. So began the daily routine of camp chores – setting up the tent, filtering water, getting ready for dinner. 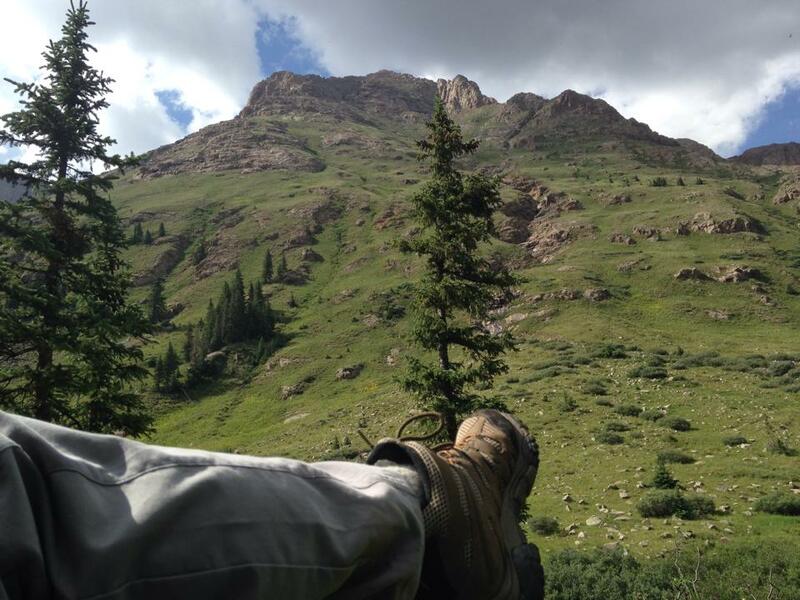 Everything is tougher at 11,000 feet. But little things help ease the burden. Enter Noel. We first met each other a couple of years ago and have since hiked and climbed several mountains together. She’s closing in on bagging every 14,000-foot peak in the state, and in the time it has taken to do all that work, she’s learned a few things about backpacking. Nothing beats good eats when you’re at camp, and aside from her famous cookies (she’s known as “the cookiehiker” for a reason), Noel has learned a thing or two about making dehydrated meals. She offered to bring me a few for this trip, and I gladly accepted. Dinner that night was chicken and couscous. What did you eat the last time you went backpacking? Anyway, I’m lucky to know this gal. That’s not to say that everyone else ate miserable food. Nathan and Danielle hauled up unusually heavy packs, but the reasoning behind that added weight became clear with the sounds and smells of sizzling bacon. The two carried a small cooler full of tasty foods and a skillet, among other things. Much jealousy ensued. I made sure to soak in the scenery. Across the creek, the steep, grassy shoulder of Mount Eolus rose high above. Up the basin, the dramatic profiles of Peak 18 (this beauty needs a better name) and Windom Peak loomed overhead. Deer and mountain goats circled the camp, unafraid and curious. 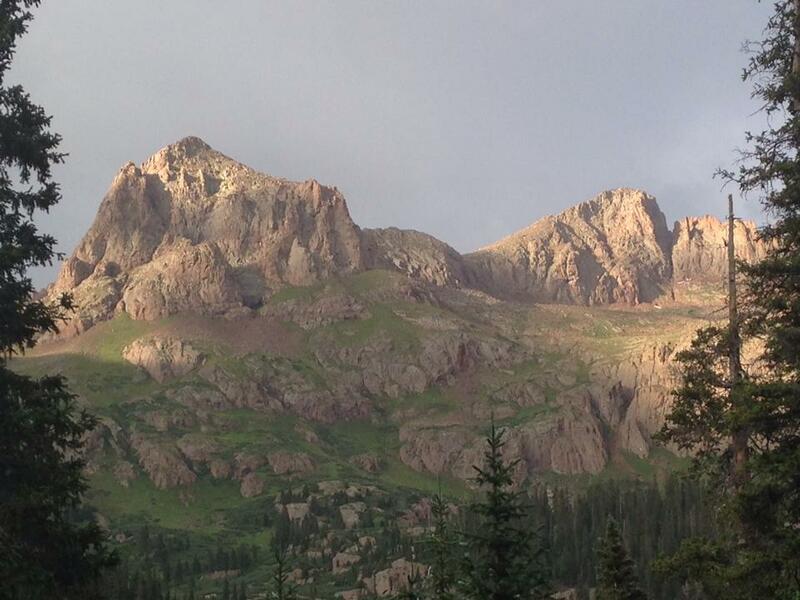 Late afternoon sun on Peak 18 and Windom Peak, as seen from camp. The sheer number of people in our group made the surroundings seem a little less wild, but there was no doubt that we were deep within the folds of wilderness. Everyone turned in early. Rains were off-and-on all afternoon and evening, and to have any shot at a summit, an early start was required. The alarm was set for 3:15. From sundown until my alarm went off, I think I might have been unconscious for just 20 minutes the entire night. The rest of that time was spent tossing and turning, mitigating the discomforts of sleeping on the ground (hello, shoulder and hip soreness) and occasionally dozing a bit. But sleep was elusive. Altitude will definitely mess with your sleep if you’re not used to it. I felt bad for Matt, with all the rustling around I was doing, but he scoured some ear plugs to help him get some Z’s. Lucky for him. A quick breakfast preceded the gathering of gear. Headlamps on, the group headed up the trail, looking to tag the summits of Mount Eolus and its neighbor, North Eolus. 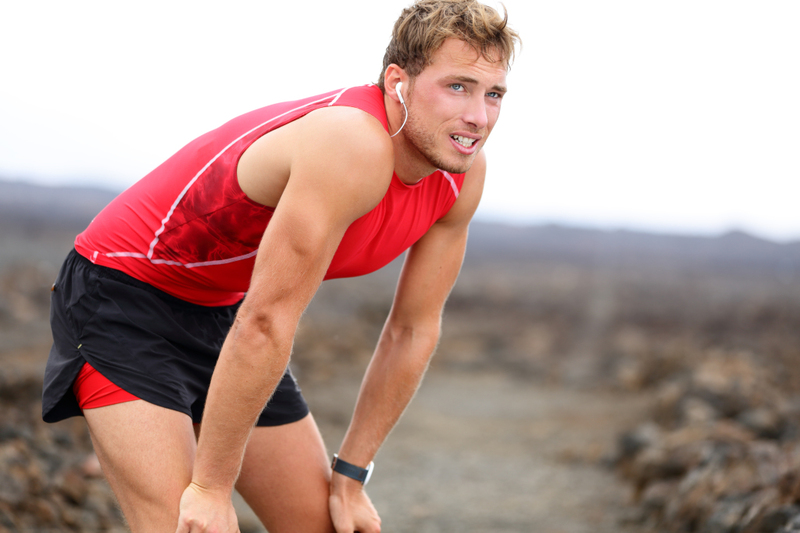 It was immediately clear that the pace being set on the trail was going to be a fast one. Not a problem early on when the incline was more gentle. But to get to the peaks above, you had to hike up a sizable headwall that was at times pretty steep. I started in the middle of the pack, but quickly drifted toward the back. There was no sense trying to keep up with these folks. In time, I was reduced to counting off 100 steps, then stopping to take a breather. The skies began to show the initial signs of dawn as the headlamps ahead drifted further and further up and away. I’d really hoped to be stronger that morning, but it wasn’t happening. So I kept chewing up the slope, slowly, until the group had gathered near the stony saddle between the two peaks. I was grateful for Bill and Jenny at this point. 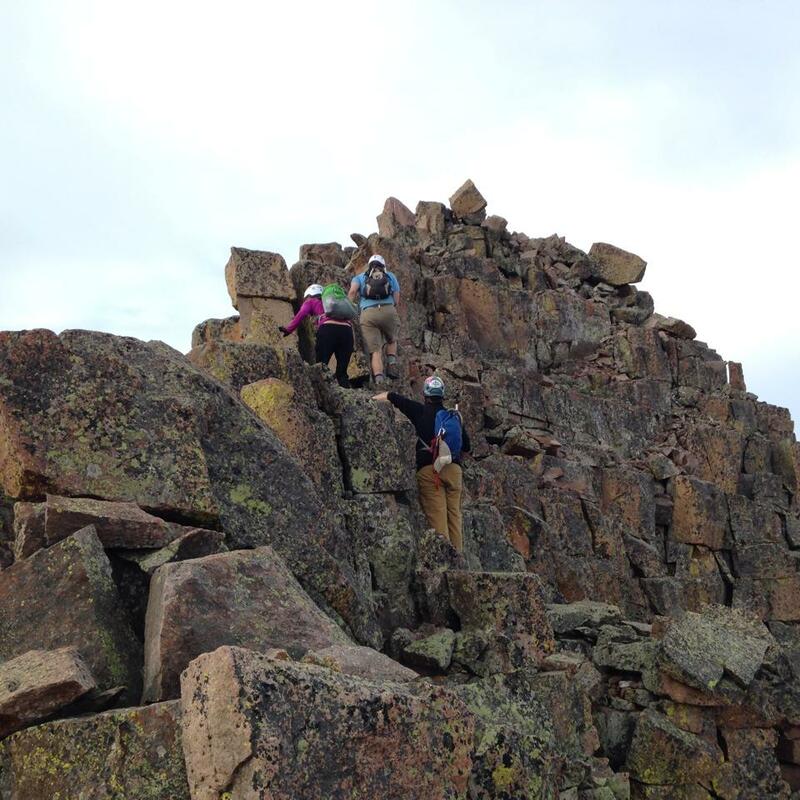 They were closer to my speed, and as we hit the higher parts of the route, we ended up climbing together. Of the whole crew, Bill is the most experienced. 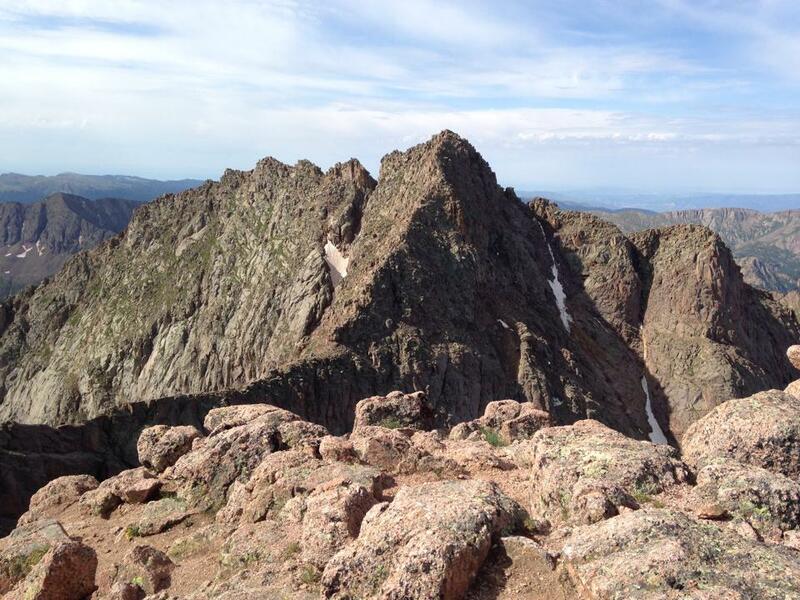 He’s already summitted all of Colorado’s 14ers, many of them multiple times. Well over 100 14er climbs and counting. Add to that Rainier, Mount Hood and Pico de Orizaba, and you get the picture. Been there, done that. Getting ready to cross the Catwalk. Jenny takes one last look back. Jenny is no slouch, either. 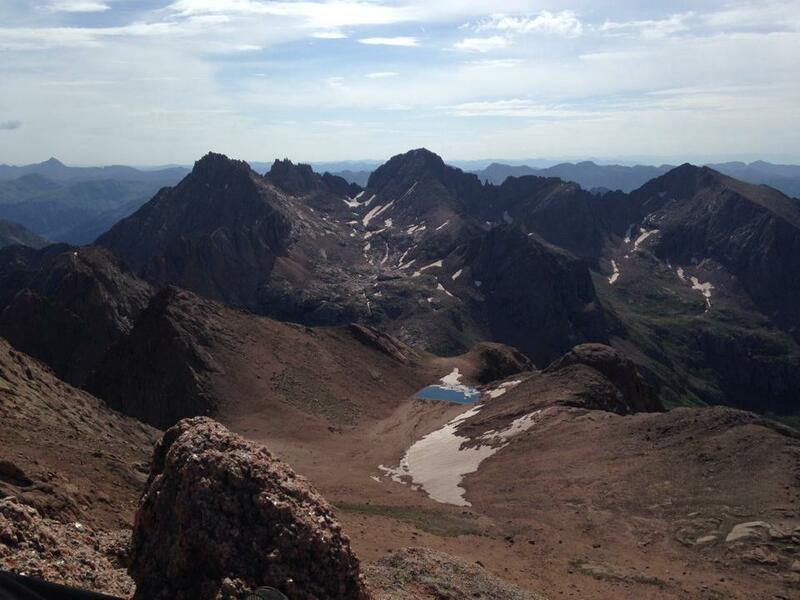 She got the 14er bug a couple of years ago, and is less than 10 peaks away from bagging all the state’s 14,000-foot summits. She’d been to Chicago Basin before — a year ago, in fact. One of the challenges before us turned her back last time – the connecting ridge between the peaks called the Catwalk. The Catwalk is unlike any saddle I’d ever seen before. It’s a skinny sliver of rock, anywhere from five to 15 feet wide, a couple of football fields long and with near vertical drops on either side. If you’re headed toward Eolus, the exposure to your right is particularly dramatic. It’s no surprise that the Catwalk has turned back more than a few people, just based on the visuals. It’s not tough to cross once you get past the initial intimidation factor. With a little encouragement, Jenny slew that dragon, and we got a good look at the work ahead. Mount Eolus’ summit pitch is defined by its ledges. Huge, solid blocks make up a system of those ledges you have to navigate as you snake your way up a path that parallels the northeast ridge. We checked that out for a bit, but instead decided to reverse course and tackle the ridge directly. This meant a couple of things. One, the route to the summit was much more straightforward. And two, the climbing was tougher and the exposure more dramatic. Close to topping out on Eolus’ tiny summit. Danielle led here. She’d give us a few hints of what was to come, followed by half joyous, half nervous laughter. Sometimes getting a straight answer in the midst of her exploratory glee was elusive. “Danielle, talk to us like a human being!” Bill shouted at one point. Followed by more laughter. There were a couple of moves we had to make that were pretty committing. Nothing overly difficult, but you needed to hit it right and not have any mishaps. A fall on that ridge would send you into a rocky abyss. There were a couple of times I asked myself, “You’re really going to do this, huh?” And then I did it and moved on. Before long, we’d all topped out. Crazy summit photos ensued, some daring, some, er, interesting. I’ll just leave it at that. Looking at Sunlight Peak, Sunlight Spire and Windom Peak at the other end of the Basin. To date, I’d say Eolus is the most challenging peak I’ve done. The approach, the route-finding, the climbing and the exposure – it all combined for pretty great summit. I remember telling Jenny, who crossed back over the Catwalk with decidedly less trepidation than she had 40 minutes earlier, that she’d grown a bit since we first walked up on that ridge. But I may as well have said the same thing about myself. No way I would have climbed that ridge five years ago. No way I would have crossed that catwalk a decade past. The truth is, a lot of us were making some strides in the Basin that day. Mount Eolus, as seen from North Eolus’ summit. I was good with tagging Eolus and calling it a day, but the scramble to the top of North Eolus from the Catwalk is short. The rock was different – slabby, grippy and sharp. Ideal for friction climbing. It may have been the easiest Class 3 pitch I’ve ever done. Twenty minutes later, summit No. 2 was in the books. The views from these peaks are stunning. On this end of the San Juans, wild peaks abound – the stony sentinels Pigeon and Turret peaks, the verticality of Arrow and Vestal, and on the opposite side of the Basin, Sunlight and Windom. We called it a day from there and started the hike down. 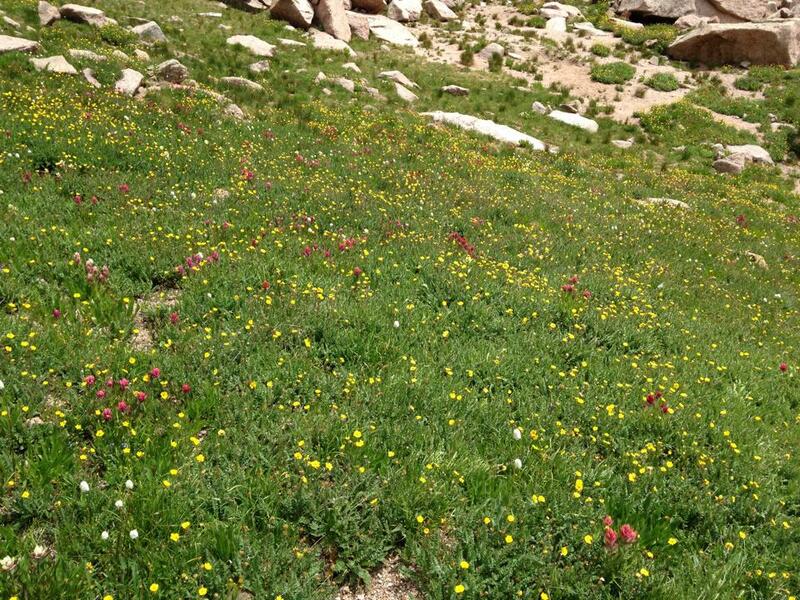 Green alpine grasses were littered with wildflowers, and mountain goats patrolled the meadows looking for places to graze or just lounge in the sun. Strolling into camp, I pretty much had decided I’d be sleeping in the next day. We’d topped out early – an 8 a.m. summit of Eolus, and by the time we were done being lazy atop North Eolus, it was about 9:30. We were in camp by noon or so. Routines picked up again – eat, nap, filter water, cook food. Stories were shared. Kay, being the most energetic of the bunch, had also tagged Glacier Point, a high 13er in the Basin between Eolus and Sunlight. But before long, the weather decided to interrupt the party. 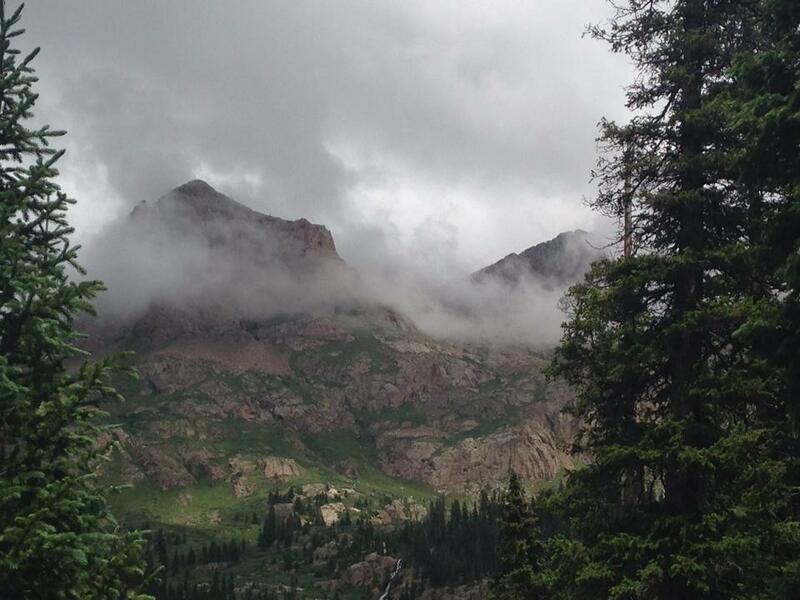 Clouds enveloped the peaks. Light rain began to fall, but not so much as to chase us into our tents. But it kept intensifying, then added some thunder and lightning. So into the tents we retreated. Rain that night flooded some people’s tents, and about half the group decided they’d had enough. The other half geared up to have a go at Sunlight and Windom peaks. As for me, I decided a relaxing day at camp was in order. Laziness rules! As folks started packing up, we had a little fun with the mountain goats. 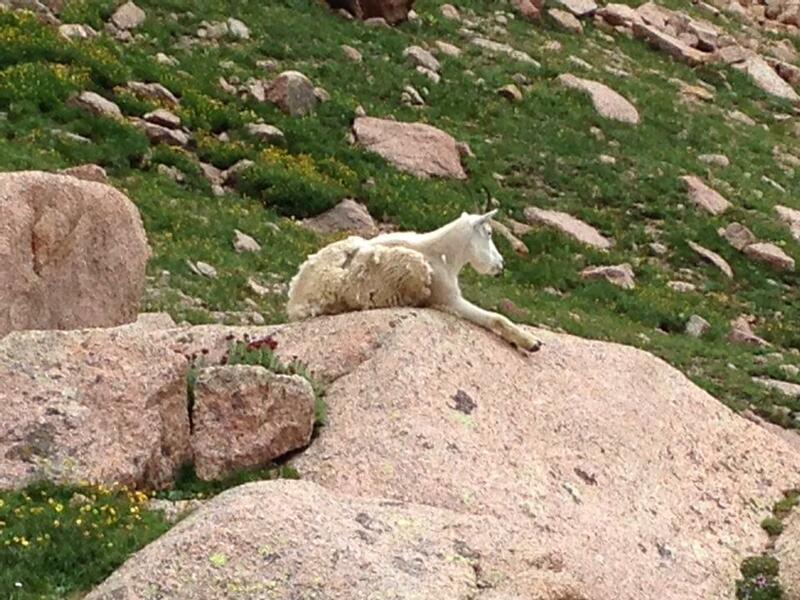 For the uninitiated, here’s a little secret about mountain goats: They crave salt. And a great place for them to find it is where campers pee. 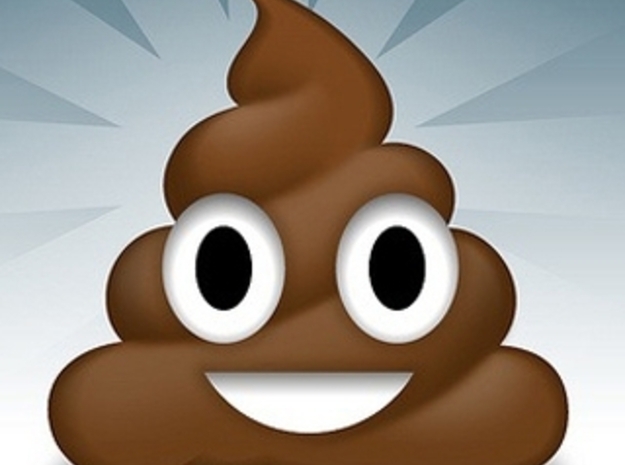 Yes, it’s gross. But it’s automatic. These creatures patrolled our campsites looking for places where we’d urinated, then licked the ground greedily, as if we’d spilled manna from heaven at their hooves. Mike, who we also know as Mikey Zee, decided to have a little fun. He whizzed on a bush not too far from my tent, then watched the fireworks. Goats flocked to the bush. Munched on the bush. Fought over the bush. Eventually, the shrub was completely denuded of foliage. Certainly not something you see on any of those PBS nature shows. Eventually I had the camp to myself. The group left, with idea of meeting up a day later in Durango. So I chilled out, swatted at flies and waited for the rest of the gang to return from the summits. Everyone had stories to tell. Matt, by travel buddy, tagged Sunlight and Windom. I considered this a major feat, as he’d confessed earlier his fear of heights and had taken a pass on the Catwalk. What does he do the next day? 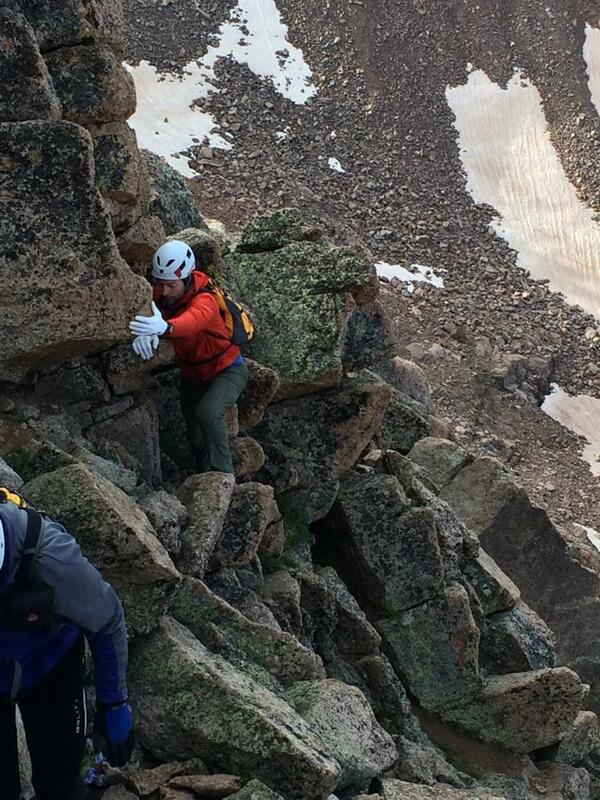 He climbs one of the toughest, most exposed of all the 14ers. Again — growth, man. Others had done the same. And Kay, looking for more, did both of those plus Peak 18. Back at camp, more stories were told, experiences compared, congratulations handed out. I didn’t regret my day of rest to that point, but later on I realized I’d missed out. I actually slept well the night before and felt good that morning. An opportunity missed, perhaps? Maybe. But I can always go back. As had been the norm, the weather turned sour. So for a second straight day, we were chased into our tents. For 12 freaking hours. There are only so many times you can look at pictures, take naps and otherwise try to kill time when you’re stuck in a cramped tent that long. It got old. My body ached. I’d hoped for a small break in the rain just so I could stand up and move my body. But it wouldn’t happen. By morning, with more tents flooding (ours had stayed remarkably dry; others’, not so much), all of us were ready to get down and find someplace dry. The rain stopped long enough for us to pack up and get moving down the hill – 7 miles to the Needleton stop, 7 miles to our first taste of civilization in several days. You’d think a march like that, with full packs, would be a drudgery, but in reality it was pleasant and fast. The weather was cool and mostly overcast and the trail was soft and forgiving. Two-and-a-half hours later, we were at the tracks waiting for our ride home. About an hour later, the train appeared. We loaded our stuff, found a spot in the open cars and waved at the crowd of backpackers who’d disembarked in their own adventures. My first order of business – a Coke and a bag of Lay’s potato chips. Manna from heaven, and not the goat kind, either. What followed was a tour-de-eat like you wouldn’t believe. First stop, in Silverton, we gorged on burgers and beer. Once we got turned around and back in Durango, more gluttony. And on and on. 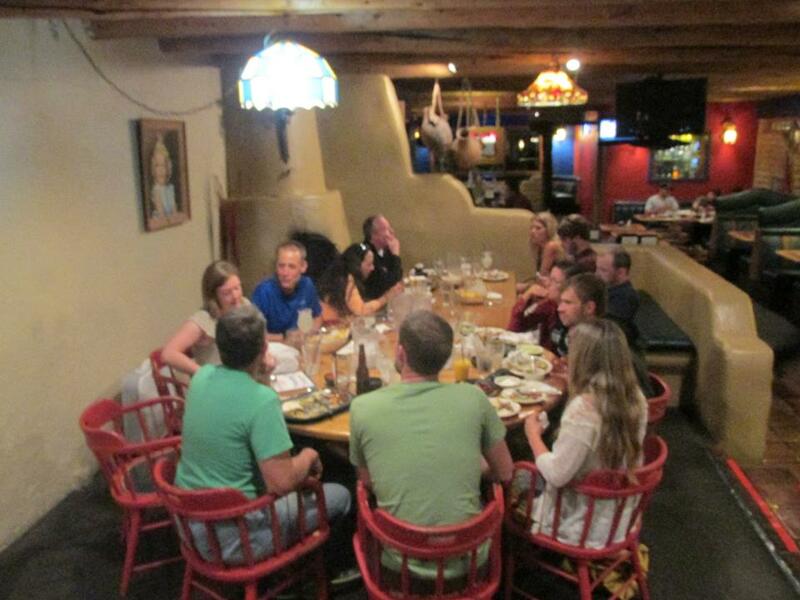 At a Tex-Mex place in Durango, the whole group reunited. Stories were swapped, and Chuck got an impromptu birthday serenade from the restaurant’s wait staff. Pretty surprising, considering it wasn’t his birthday. Remember what I said about Mikey Zee being the funniest man I’d ever met? Yeah, that gag was his idea. Between that and a whole lot of other hilarity, I can’t remember the last time I’d laughed that hard. 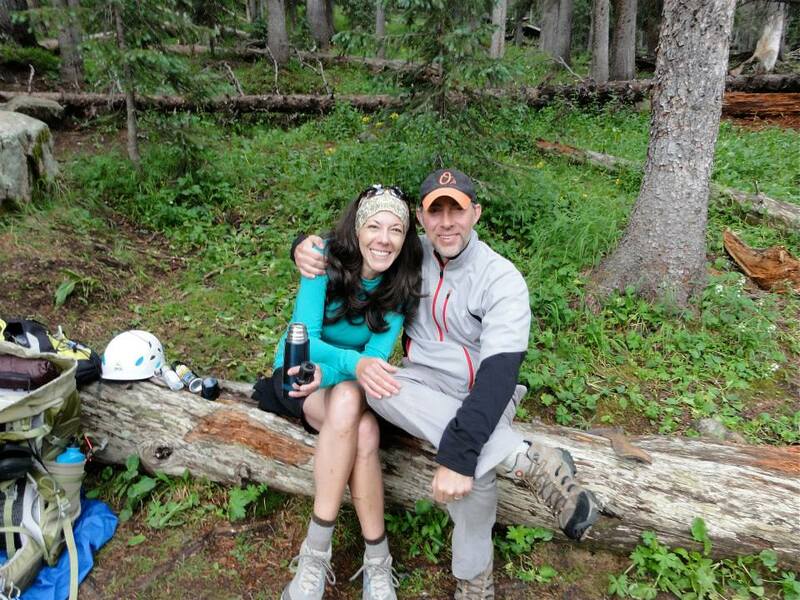 With the trip wrapping up, I recalled a few conversations that Matt and I had with Bill and Jenny on the way to Durango. 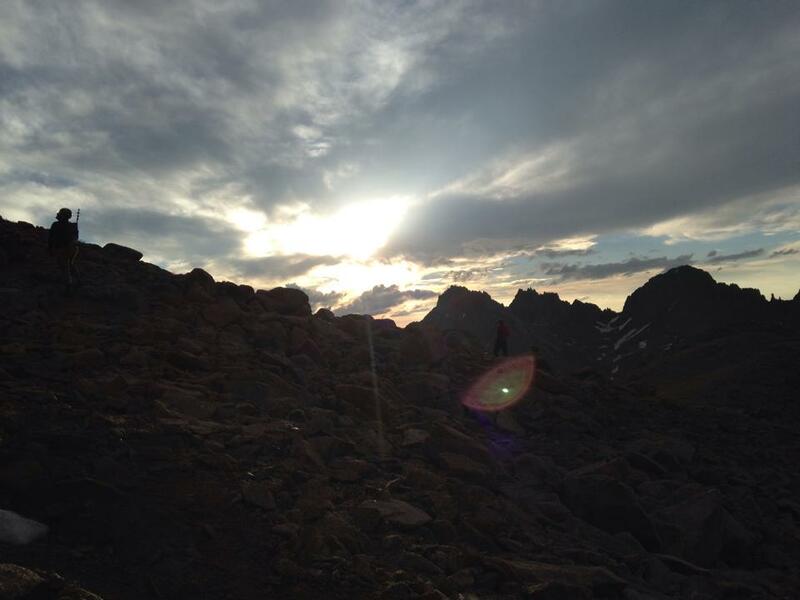 The 14er scene is a lot like high school, Bill had reasoned, with new people all wide-eyed at the experience (like high school freshmen) and the experienced hikers and climbers there to show them the ropes (like seniors). Romances come and go. And people move on, just in time for the noobs to graduate to senior status and welcome in a new group of fresh faces who in turn look up to them and their high country tales with wonder. And so the cycle goes. But Bill added something a little deeper than that, making the scene seem less transient. Work was work, he said, but the mountain scene was different. It’s hard to say how many of us would even know each other if not for the shared love of the mountains. Maybe none of us. Maybe we’d be involved in some other deal, with other people, or we’d just get lost in our own world of collective anonymity. But that ain’t the case. We do know each other. We like each other’s company, work well as teams and support each other. In sharing risks and struggles, we bond in ways that’s not possible in most other circles. It’s sort of like what Matt said during that long drive through Kansas. You can’t underestimate the power of wanting to be part of a group. You just hope you find the right one. As for me, I think I have. I kinda like my tribe. 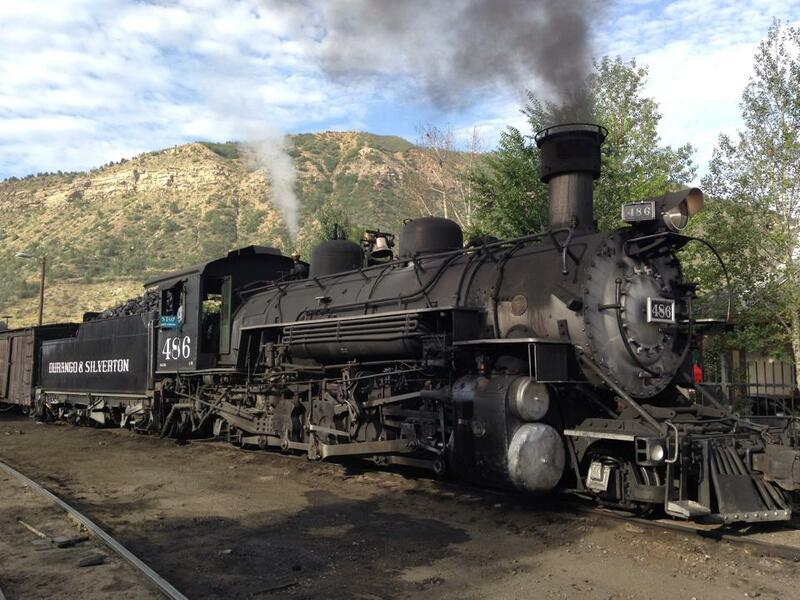 GETTING THERE: Snag a ticket, from either Silverton or Durango, and hop the steam train to the Needleton Stop. Open-air, round-trip tickets cost about $90. If you park at the train station, there is also a parking fee at the gate. 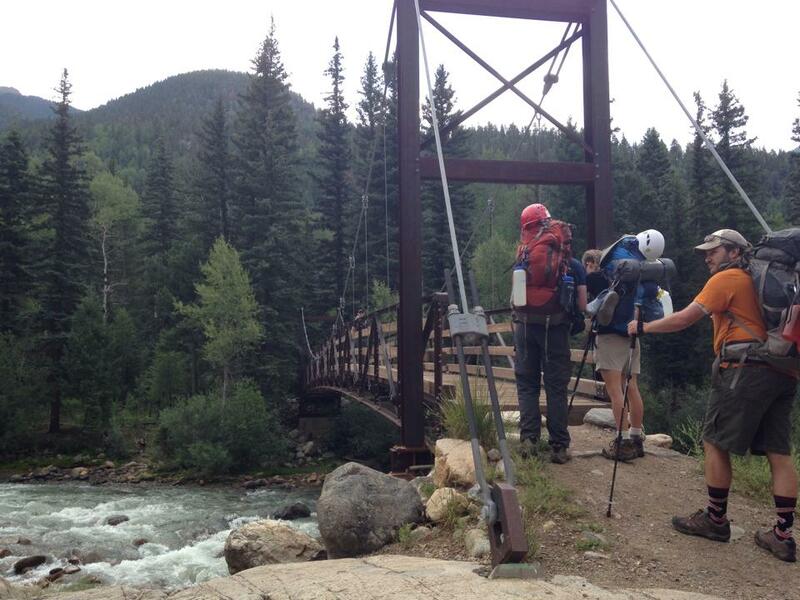 ABOUT THE ROUTE: Hike across the bridge crossing the Animas River. A good trail goes all the way to the Basin. 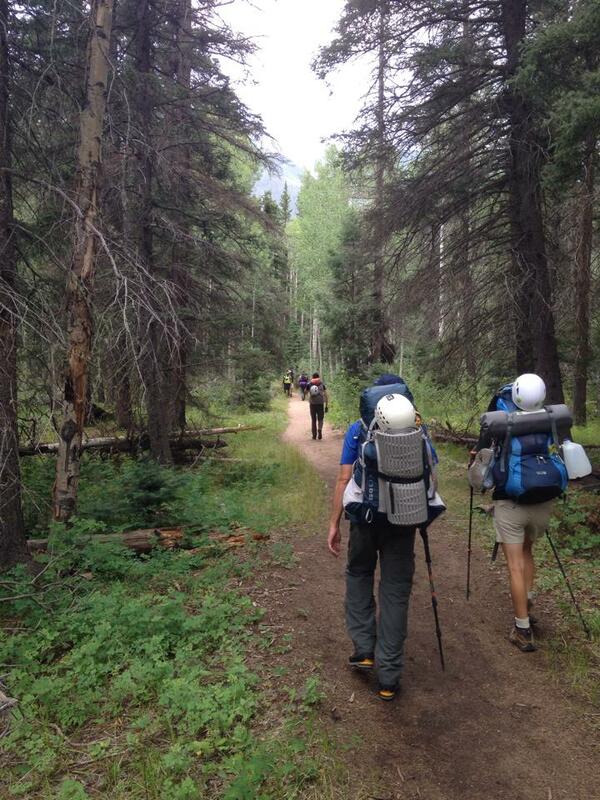 About 5.5 miles in, you will see places where you can camp. Campsites are available up to 7 miles or so from the bridge crossing. From there, follow the trail up the headwall – steep Class 1 and 2 hiking. Higher up the headwall, you will cross rock slabs that are slippery when wet. At the saddle between Mount Eolus and North Eolus, you’ll see the Catwalk. Cross the Catwalk toward Mount Eolus. The rock is solid but exposed. Mostly, it’s a walk with an occasional scrambling move. 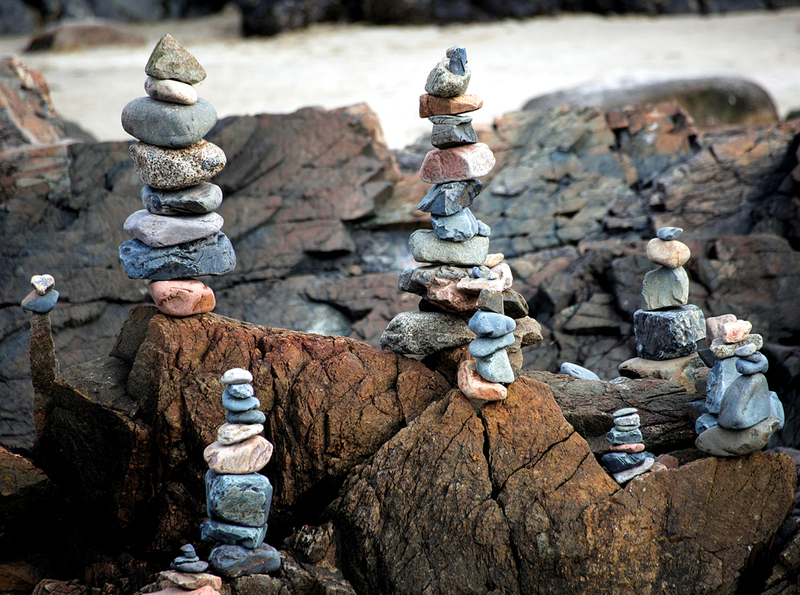 Once off the Catwalk, follow a series of cairns up the ledges leading to the summit. Or, for a more direct climb, go up the northeast ridge proper. Taking the ledges is Class 3, with 4th-class exposure. The ridge is Class 4 climbing, with 4th-class+ exposure. You will be able to climb over or around several stone blocks; some require traverses that are pretty committing. For North Eolus, follow the ridgeline immediately off the end of the Catwalk. Pick your route toward the top; the rock is slabby and easy to grip, with just a few short, Class 3 sections to climb. The rest is Class 2 hiking, and a short trip from the saddle.